The joy and sense of achievement you feel when you get your hands on your first credit card is unparalleled. Often the biggest reason to celebrate your first credit card is the sense of financial freedom it affords you. It’s like your golden ticket to a world of unlimited shopping sprees, fancy dinners, upscale spa treatments, club memberships and what you. Until a month later when your card statement arrives, and your unbridled joy turns into your worst nightmare. It’s the exact moment when you finally realise how much cash you have spent – without a care in the world – and now it’s time to fork out the money to pay the piper. This is an oft-repeated story that has happened with many first time credit card users over the years and still does. But there are simple ways to you can prevent this from happening to you. If you’re a first time credit card user, take a good, close look at the 12 simple tips for first-time users, we have outlined below about how to use a credit card responsibly and minimize the risk of landing in a massive debt trap. 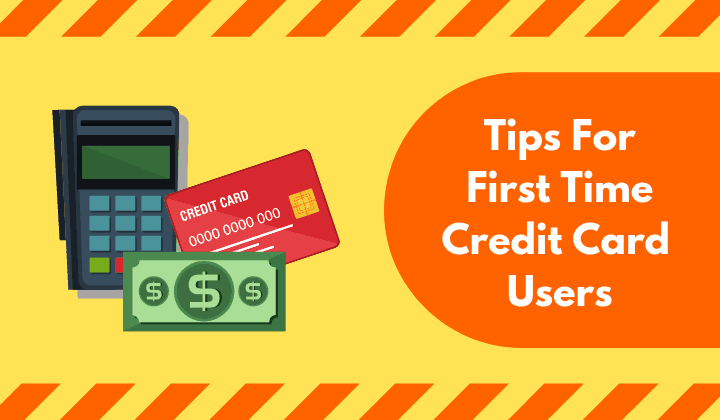 This is the first tip for first time credit card users that you need to consider before you start using a credit card. In your excitement, don’t make the mistake of grabbing the first credit card you are offered. Take time out to think about it. What do you use a card for? Is it to pay off your online shopping bills – in which case you will need a card that offers generous money saving cashback on online shopping, or to pay for your rising fuel bills – where a card offering low-interest rates would come in more handy. Do remember no two credit cards are alike and you need to choose one which best suits your needs. If you’re a college student, choosing a secured credit card can be a great way to regulate your monthly spend with credit cards and stay out of a debt trap. Several banks offer these prepaid cards to students with low-interest rates and zero annual fees. The way it works is that the parent/guardian deposits a certain amount in the student’s account with the card issuer – which would be his/her credit limit. If the student fails to meet the due payment on her card, the issuer has access to the deposited funds as collateral; thus making it one of the safest way to use a credit card especially for first time credit card users. For rookie users, a credit card might seem akin to a rich uncle who pays off your bills. Get rid of that notion right away. While initially, it may look so, there are no free lunches in the world, and your credit card bill will come due – make no mistake about. So credit card use should be done wisely. One of the best ways to use a credit card is to track your expenses and create a monthly budget for everything (including your credit card) and sticking to it. This way you are less likely to go overboard with your spending or using your credit card. Received a higher than expected credit card bill for the month? No problem you can always pay the minimum amount and the balance some other time. Never ever fall into this trap. While it may seem like the smartest way to use a credit card, especially if you’re short on cash, the fact is it isn’t. Banks charge a hefty interest on pending payments. Late fees are also applicable if your payment is delayed. Both of which will not look good on your credit score. Thus, it is advisable to pay your bills on time in order to avoid hefty late payment fees, interest charges and other fines as well. Very often credit card companies increase the credit limit of card users who pay their bills on time – it’s a subtle way of encouraging paying customers to spend even more money. But that doesn’t automatically mean that you need to spend more money using a credit card. For the simple reason that your repayment capacity remains the same – unless of course, you have got an extraordinary pay hike at the same time. One of the best credit card usage tips is never to withdraw money using your credit card. It’s always tempting to use your credit card to withdraw cash when you need it in a jiffy. But you need to know those card companies will charge you a higher interest for your cash withdrawal, plus the ATM charges, wherever applicable. Moral of the story. A cash withdrawal using your credit card can quickly become a costly affair for you. Always try to carry the cash you need with you. Alternately use your debit card linked to your bank account in case of an emergency. This is very important credit card advice from a security perspective. Sharing your credit card number and security details online or over the phone can be extremely damaging to your financial health. It could make you a victim of credit card fraud – where your card has been used to make purchases by unauthorised persons. Also vast make it a point to ensure that you are using a secure site before making any online payments using your card. Make it a point to scrutinise the credit card bill you receive every month – to check for any unauthorised transactions and review all the applicable charges. First time credit card users are prone to skipping the details and tend to just zero in on the bill amount, before discarding the bill in the bin. This can prove to be a dangerous habit, and you could end up a lot more for a lot of things that you don’t know enough about. Bottom line, if you want to exercise complete control over your spending habits, you need to pay attention to the details. The interest charged by credit card companies on your bills are fixed, but they can be reduced if a customer puts in a genuine request. As per a 2017 survey by CreditCards.com, 87% credit cardholders who requested a late payment fee waiver got one. Similarly, the percentage of customers who managed to get a lower interest rate and a higher credit limit was 69% and 89% respectively, while another 82% managed to get their annual fee reduced or waived entirely. Who doesn’t like to buy good quality, expensive stuff? When you have a credit card, there is always that added temptation to use it to buy fancy things you always wanted – but could never afford. But again, this can be a recipe for landing in a huge fiscal debt trap. Yes, it’s perfectly normal to desire the good stuff but use the credit card to buy it only when you’re doubly sure that you will be able to pay for it. Living beyond your means is never a good idea – with or without a credit card. So try to keep a lid on your spending habits. Using a credit card can impact your credit score in several ways – either positively or negatively. For example, you can score more points if you pay your credit card bills on time and vice versa if you do not pay it on time. In their enthusiasm to get their first credit card, many rookie users make the cardinal mistake of applying for several card membership on the go – in the hope of landing one of many. What this can do is affect your credit rating negatively. A low credit score puts you in the category of risky borrowers – so getting a loan approved may pose a problem for you. Many first time card users also tend to get excited when they win a – cash/free travel reward – on individual purchases. These rewards are usually paid for by the interchange fees paid by a merchant bank to your bank – when you make a purchase. The fees for this vary but are in the region of 2% or more. Some card companies offer rewards in the area of 5-6% on certain purchases – but they are usually capped at a certain amount. So if you get a reward intimation that seems too good to be true, check the fine print in your card statement. Here are some of the most useful tips for first time credit card users. Getting your first credit card can be an exciting and compelling experience for many, but – with great power, comes great responsibility. While getting your first credit card may seem easy enough, using it is a serious business and needs to be treated responsibly. 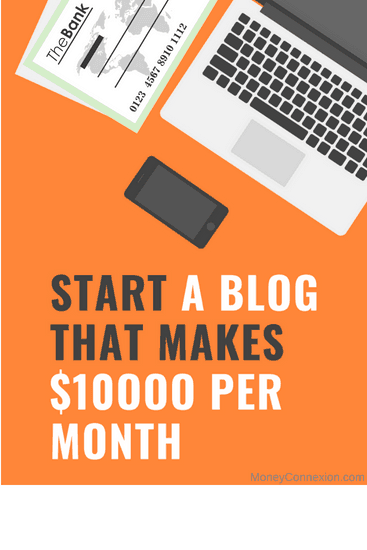 If not, your quest for financial independence can just as quickly turn into your worst financial nightmare. credit card is good. but if you always think that you have credit card to swipe every time you make a shopping with out money. well i tell you my friend if you value your credit card as cash then your in the right path. because you always think that in every spend you’ve done you sweat to earn, you work hard to earn, you work hard for everything. using credit card is an obligation at end.